Small Animal Talk: How well do you know your cats? How well do you know your cats? Are your cats socially compatible? Its not just about an absence of hissing and biffing, according to behaviour specialist Dr Sarah Heath. How much do you really understand the social and psychological needs of your cats? I thought I knew a fair bit, until I attended a mind-blowing lecture by veterinary behaviour specialist Dr Sarah Heath. Now I am looking at Michael and Hero, and my feline patients, in a new light. In the wild, cats are “solitary survivors”. They aren't an obligate social species like humans. Displaying weakness is “not an option” - for one thing, there isn't a social system surrounding you to give support, and you don't want enemies or predators to know you are weak. As a result, it can be really hard to identify cats suffering from negative emotional states. Those that are chronically stressed are even harder to pick. With acute stress there are often contextual clues (e.g. a toddler visiting the house, the neighbour's dog running into the back yard) that we pick up on, which are absent in chronic stress. the ability to avoid or escape potential sources of stress (including other feline household members). Cats need privacy. 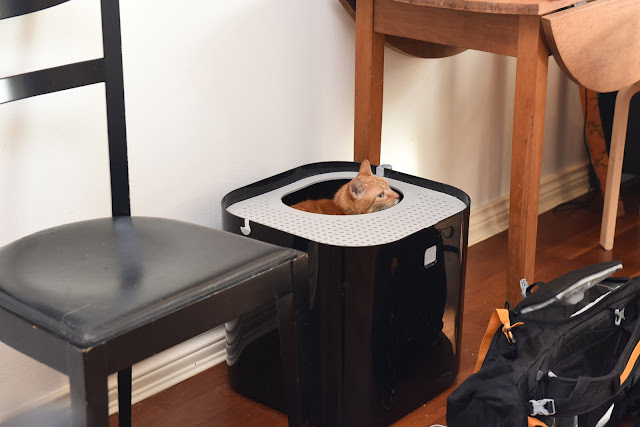 This litter tray is designed for those felines who like to pop down and hide. Dr Heath talked about two broad types of cats in terms of their stress response: passive responders and active responders. Passive responders may react to stress by avoiding the stressor, decreasing their activity levels, withdrawing, being inhibited (simply staring at someone they don't like) or sleeping more. By contrast, active responders have an increased activity level, and may hiss, swipe or strike other cats, mark around the place, vocalise or otherwise behave differently. According to Heath, this is often misinterpreted as “dominance” (a term behaviour specialists seem to dislike very much, and one especially irrelevant to a species that does not have a pack structure), overconfidence, bullying or just being annoying. 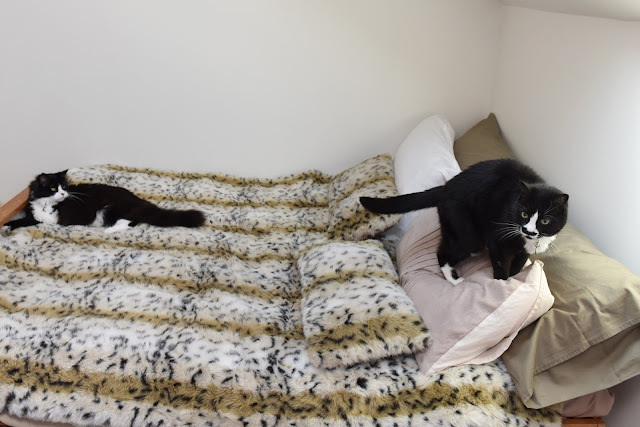 When Dr Heath investigates behaviour problems in multi-cat households, she gathers information about the individual cats (their emotional state, and emotional resilience), the other cats in the household and the environment. Dr Heath is keen to find out about the background of each individual cat, its early social influences if known and its current interactions. How does the cat react to visitors? Noises? Alterations to the normal layout of the house? Other cats in the neighbourhood? How do they respond initially to stressors like visitors – this can give insight into the cat's emotional bias (is your cat an optimist or pessimist?) How do they cope – running? Hiding? Elevating themselves? How do they recover and how long does it take to recover from a stressor? Dr Heath made the point that we tend to think of all members of our household – human and non-human – as one big happy family. But that is not how cats think. For example, you may live with three cats, but they consider themselves in TWO social groups: one pair of cats is socially compatible, the other is a loner. They are co-tenants perhaps, but not family. In the wild, feline society is based on related individuals. Therefore the most ethologically sound groups are siblings – but its often not possible to adopt sibling cats. Unrelated cats can live with and even befriend each other but we should not assume this will be automatic. It’s like moving into a share house – you might get along famously with some members of the households, but others just get your back up for no good reason. Cats that are socially compatible or like each other display more affiliative behaviours – grooming, rubbing, head-butting (the friendly style, not the Liverpool kiss style). But they won't do this all the time. Dr Heath asks her clients to draw an “affiliative behaviour map” over a seven day period. You do this by writing each of your cats' names and a box around each. As you notice friendly behaviour, draw an arrow from the instigator to the recipient. e.g. if Michael licks Hero, an arrow extends from Michael's square to Hero's square. You might use different colours for different behaviours. Even if you have observed a behaviour before, draw the arrow AGAIN each time you notice the behaviour. This way the thickness of the arrows indicates the frequency of behaviours. But the exercise might also show that you are living with one, two or more social groups of cats – which has implications for resource allocation. Much inter-cat conflict within households is passive, and easily missed by owners. It includes staring, posturing and keeping of distance. If passive conflict precedes a cat fight, it may look to the owner like the conflict has occurred out of the blue. She cited one study in which 67 per cent of owners could only identify active tension – hissing, swiping, swatting – between cats. Only 11 per cent identified passive stand-offs as problematic. In another study, owners only identified tension between cats if it led to actual fighting. If we can’t spot the tension, we can end up putting our feline household members in situations they are unhappy with, e.g. forcing them to eat with a housemate they actually can’t stand. Dr Heath asks clients to draw a house plan noting entry and exit points, “passage tracks” (cats traverse their territory using repeatable passage tracks – I hadn't realised this before but as soon as Dr Heath said it I recognised this occurring in my own house), and placement of resources. Does the cat from next door visit without your knowledge? The map helps indicate the location of key feline resources in relation to potential entry and exit points. On this map, then indicate (using a colour coding system) who uses which resource and when. You might also consider whether neighbouring cats have physical or visual access to these resources (Dr Heath showed some shocking video footage of cat flaps in homes that owners reported were secure. 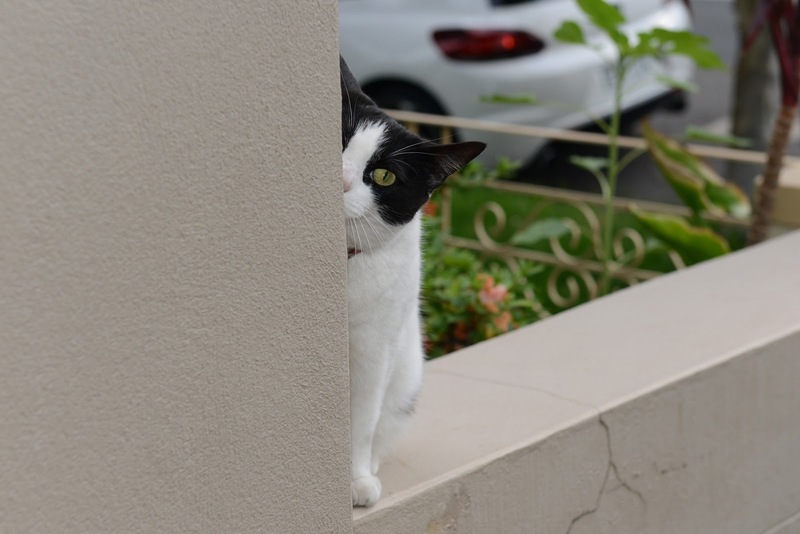 Sure enough, neighbour’s cats would sometimes appear to menacingly stare through the flap, others would slip in, help themselves to food, spray around the house and leave completely undetected by the owner who then wonders – and resents - why their cat is suddenly marking around the house!!!). You might also consider marking common passage tracks through the house if you recognise these. Not all cats enjoy eating together. 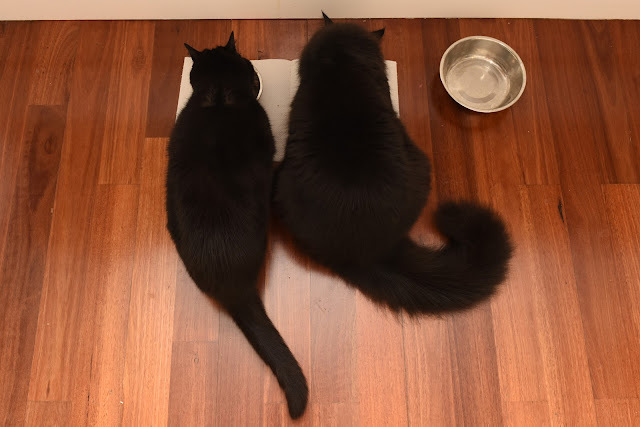 Cats that feed in a standing position, as opposed to those in a crouching position, are often doing so because they are preparing themselves to escape early. Similarly, eye and ear position can give. much away. 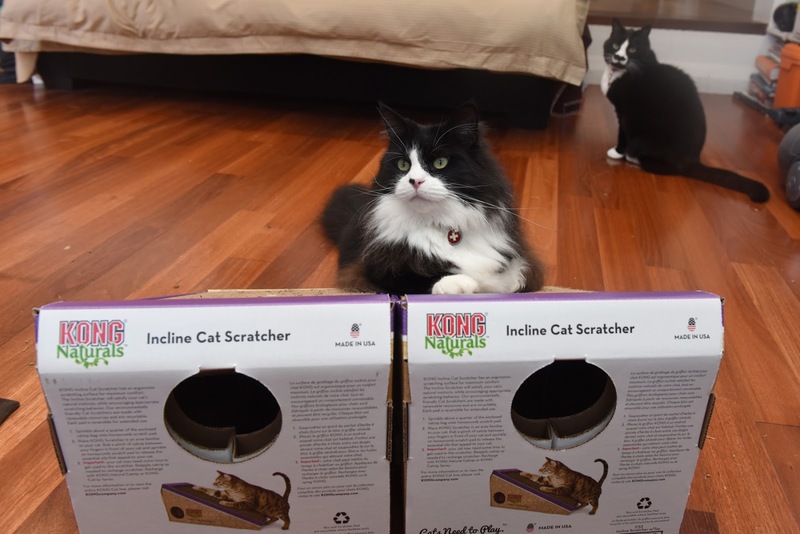 The take home message for me – apart from installing CCTV and a bouncer next to the cat flap – is that we can learn a lot about observing feline interactions, and use this information to make our feline household members much more comfortable. Plus, what a great excuse to undertake in earnest an activity most of us enjoy already: observing cats.